"Since the persecution of the spiritual discipline and meditation practice Falun Gong began in July 1999, thousands of people have been forced into psychiatric hospitals, often into secretive institutions run by the police. Once admitted, they are subjected to torturous “treatment,” which in many cases has led to the death of the victim." 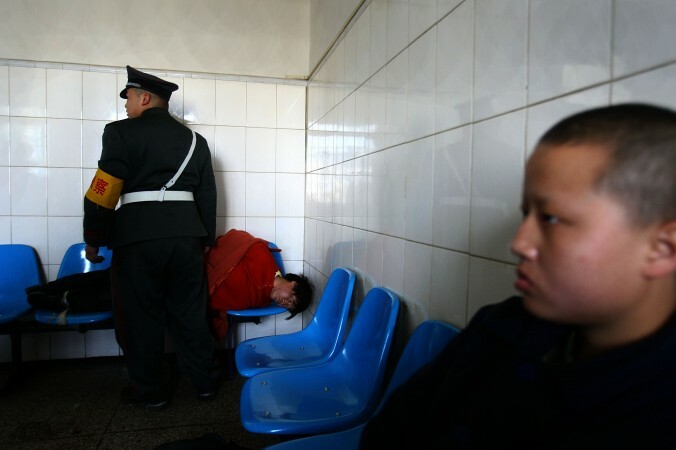 In China, the practice of using mental illness as a pretext for detaining someone is so common it has a name: “getting mentally illed.” A new mental health law aims to curb the practice, but its vagueness leaves room for mischief. In China, a group of people who have undergone forced psychiatric treatment are calling themselves “survivors of psychiatric hospitals,” and in August 2012 established the Chinese Network of Users and Survivors of Psychiatry (CNUSP). Its members include lawyers, reporters, psychologists, social workers, nurses working in psychiatric wards, and doctors. On Oct. 10, which is World Mental Health Day, the CNUSP released its “Report on Psychiatric Medical Examination.” It includes the tales of survivors, self-help tips, basic medical knowledge, and information about trying to seek redress. The author of the CNUSP report, a woman using the pseudonym A-Li, was herself subjected to forced psychiatric treatment, according to a report by Radio Free Asia (RFA). Originally a manager at an international firm in Zhenjiang, Jiangsu Province, she was diagnosed with “acute transient psychotic disorder” in April 2007 after seeking treatment for symptoms of poisoning related to workplace renovations. At Zhenjiang City’s No. 4 People’s Hospital, A-Li was restrained and administered various drugs. The doctors forged her family’s signature and fabricated her medical record. A new mental health law, the first of its sort in China, came into effect April this year after taking 27 years to draft. It prohibits people with mental health problems from being forced into treatment, except for “severe cases” or when a person endangers oneself or others. However, the definitions of such wording as “severe cases” or “endanger” remain vague and open to dubious interpretation. According to 2010 data compiled by the Center for Disease Control in China, 100 million people have some form of mental illness. It is unclear how many of these people are indeed mentally ill and how many are wrongly labeled as such. Using the excuse of mental illness to detain individuals has a long history in China and other communist and formerly communist nations. Petitioners, political dissidents, and the religious have been common victims. Xu Xiangdong, the director of the Fourth People’s Hospital in Urumqi, capital of western China’s Xinjiang Province, told the Yaxin news website that 70–80 percent of those admitted to psychiatric hospitals were done so against their will. Since the persecution of the spiritual discipline and meditation practice Falun Gong began in July 1999, thousands of people have been forced into psychiatric hospitals, often into secretive institutions run by the police. Falun Gong practitioners have typically been diagnosed with “dysphrenia,” a syndrome that does not appear in either the World Health Organization or the Chinese medical establishment’s classification of diseases. Once admitted, they are subjected to torturous “treatment,” which in many cases has led to the death of the victim. Whether the new law will have any authority over police hospitals is not clear. A-Li told RFA that despite the new law, hospitals still label patients as mentally ill in spite of the facts, and that such misdiagnosis is rarely investigated. Reversing the misdiagnosis and the harm it causes is not easy. “The results of petitioning have not been very successful. … Of countless complaints, only a handful of them receive any sort of financial compensation,” A-Li said.